Beautiful, simple villa Nymphe Villa, 2 storeys, renovated in 2017. 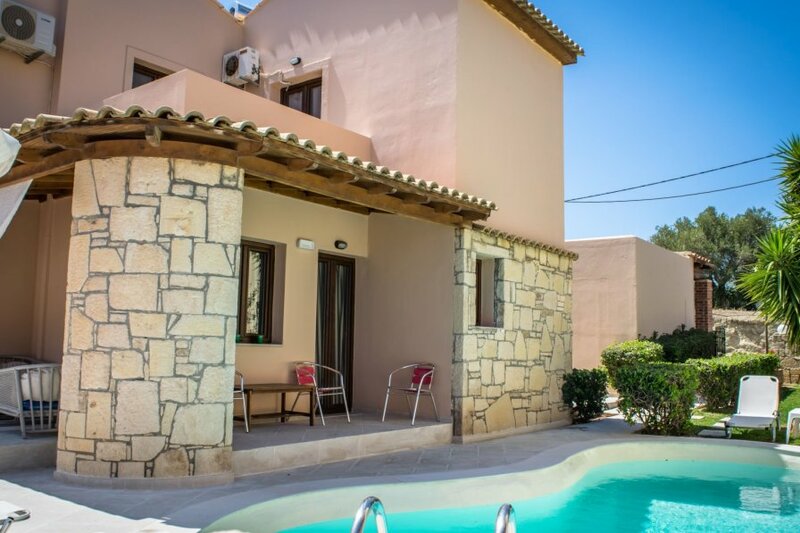 In the district of Hersonissos, 650 m from the beach, in the countryside. Private: terraced garden with trees, lawn for sunbathing, swimming pool kidney shaped (30 m2, depth 50 - 200 cm, 01.04.-31.10.). Linen change 2 times per week. Towel change 2 times per week. Room cleaning daily. Parking at the house. Shop 1 km, supermarket 1 km, restaurant 1 km, bus stop 1 km, diving center 5 km. Golf course (18 hole) 7 km. Nearby attractions: Aquaworld 450 m, Acqua Plus Waterpark 8 km, Dinosauria Park 11 km, Mallia 9 km. Please note: car recommended. Baby equipment on request.